At this significant time in our nation’s history with the institution of marriage before the United States Supreme Court, we reaffirm our commitment to promote and defend marriage—the union of one man and one woman. As religious leaders from various faith communities, we acknowledge that marriage is the foundation of the family where children are raised by a mother and a father together. 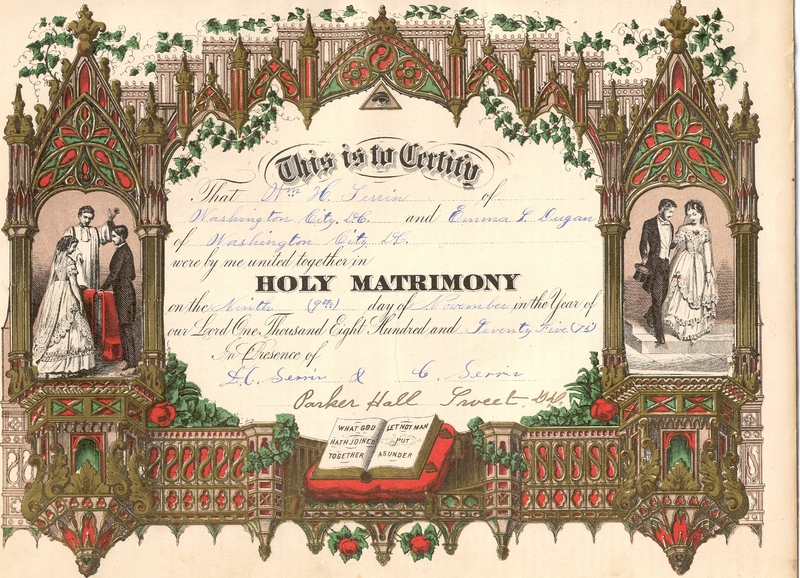 Our commitment to marriage has been expressed on previous occasions, including the Letter of Shared Commitment and Letter on Marriage and Religious Liberty. This commitment is inseparable from affirming the equal dignity of all people and the necessity of protecting their basic rights. mother and a father, and every child deserves the opportunity, whenever possible, to be raised by his or her own married mother and father in a stable, loving home. Marriage as the union of a man and a woman is the only institution that encourages and safeguards the connection between children and their mother and father. Although this connection cannot always be realized and sustained—and many single parents, for example, are heroic in their efforts to raise their children—it is in the best interests of the state to encourage and uphold the family founded on marriage and to afford the union of husband and wife unique legal protection and reinforcement. The redefinition of legal marriage to include any other type of relationship has serious consequences, especially for religious freedom. It changes every law involving marital status, requiring that other such relationships be treated as if they were the same as the marital relationship of a man and a woman. No person or community, including religious organizations and individuals of faith, should be forced to accept this redefinition. For many people, accepting a redefinition of marriage would be to act against their conscience and to deny their religious beliefs and moral convictions. Government should protect the rights of those with differing views of marriage to express their beliefs and convictions without fear of intimidation, marginalization or unwarranted charges that their values imply hostility, animosity, or hatred of others. In this and in all that we do, we are motivated by our duty to love God and neighbor. This love extends to all those who disagree with us on this issue. The well-being of men, women, and the children they conceive compels us to stand for marriage as the union of one man and one woman. We call for the preservation of the unique meaning of marriage in the law, and for renewed respect for religious freedom and for the conscience rights of all in accord with the common good.